Remarks: This Nurse died within a year of applying for pension; this is probably why she didn't get the pension approved. She died in Chelsea, VT. 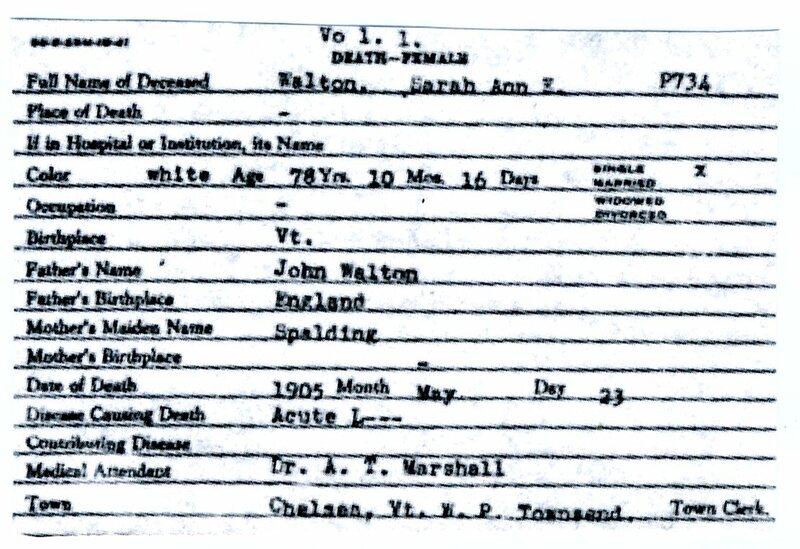 The obituary below states that her body was brought to Waitsfield for burial. As per her wishes, there was no funeral. 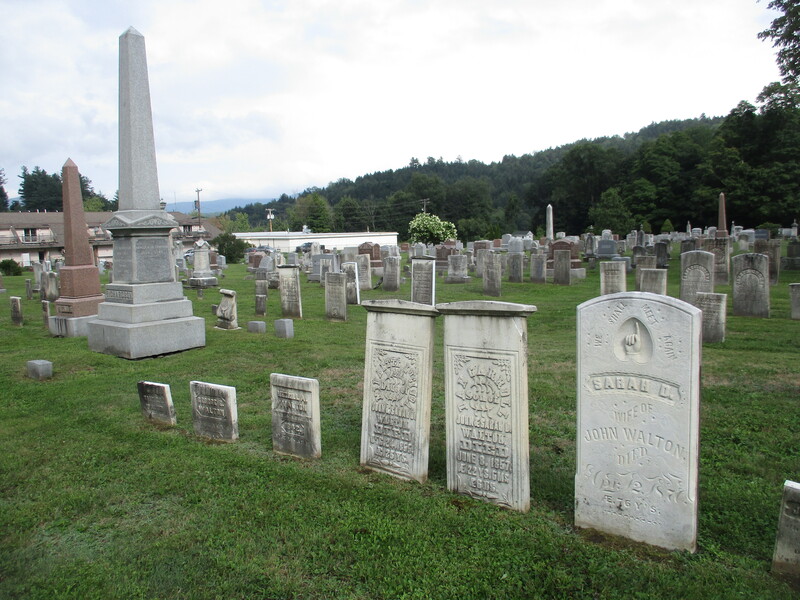 The Walton family plot is located at Irasville Cemetery. There are grave markers for her parents and siblings, but no marker was found for her. Her burial in this plot has not yet been confirmed. CHELSEA -- May 24. Mrs Sarah E. Walton, well known throughout Orange and Washington Counties, died here yesterday afternoon after a long illness. 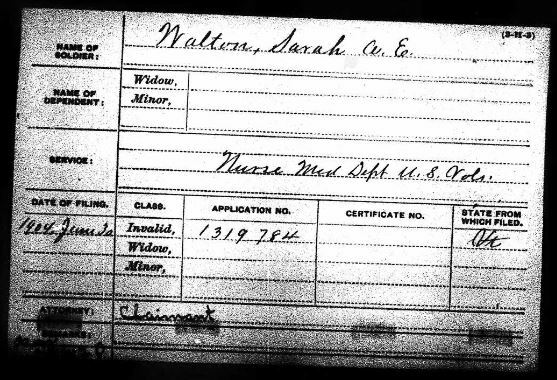 Mrs Walton was a native of Waitsfield, and the body will be brought there for interment. At her request, there will be no funeral ceremonies other than reading some selections of her choice, at the grave.